I have decided to take advantage of the latest technology and incorporate the main elements of my book into a series of videos. 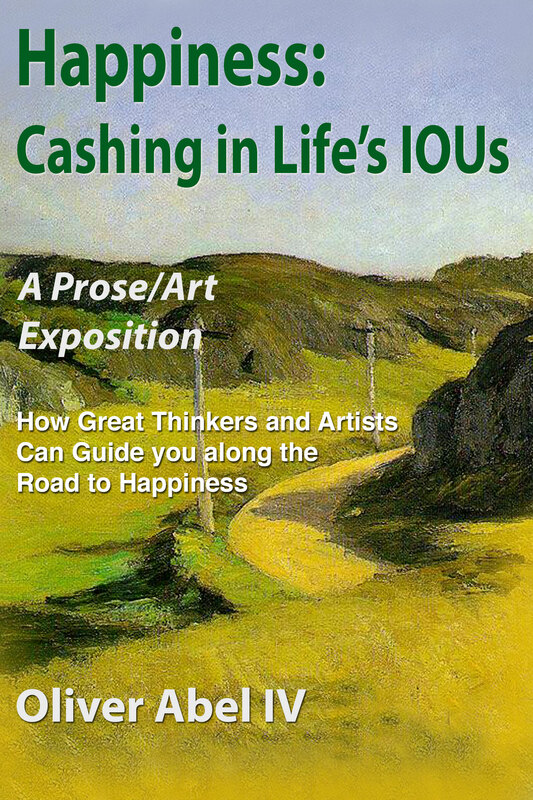 Below is the first in a series of six videos describing the book, Happiness: Cashing in Life’s IOUs, and how best to find your road to happiness. The video is an introduction to the other five videos that will be made public over the next several weeks. The videos are also part of the first step of the 3-Step Program described by clicking on the tab, 3-Step Program, on the menu above. The first step is to watch the six videos. This step will acquaint you with the ideas and fine arts found in the book. These “silent movie” videos are free to watch. The first video is about 2 minutes in length. This entry was posted in Uncategorized and tagged fine arts, happiness on April 28, 2014 by oliver.